Audio recording is often an afterthought to videographers, but it's just as important to your finished product as the recorded video. Good audio recording takes a little bit of effort, but it's well worth it. Microphones that are built-in to the camera are usually low-quality and don't pick up very good audio. Whenever possible use an external microphone. 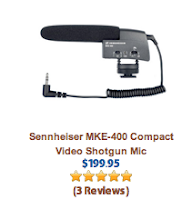 Shotgun microphones, which go on top of the video camera (via the hot shoe) and extend the reach of the onboard microphone. Transducer: A Transducer is a device that converts one type of energy into another. In microphones a transducer converts sound into an electrical signal The condenser mic generally has a flatter frequency response than the dynamic one. That is why you should choose a condenser mic when high accuracy and clarity of the recording is needed in the field. For example, dialogue, whispering, and ambient noises are most accurately recorded with a condenser mic. 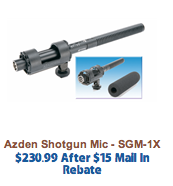 The dynamic mic is usually more rugged . It can handle more rough handling, moisture and high sound pressure levels than the condenser. It can also be used in your recording studio, but it's not well suited for recording soft vocals or acoustic instruments since its frequency response is much narrower than the condenser's. For rough and loud vocals like heavy metal vocals though, a dynamic mic might even be the only way to go since a condenser would only distort under the high sound pressure. 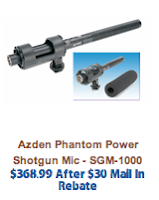 This type of mic does not need any phantom power. A microphone's directionality or polar pattern indicates how sensitive it is to sounds arriving at different angles about its central axis. 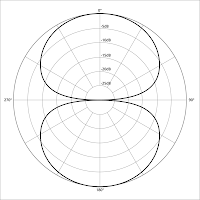 The polar patterns illustrated below represent the locus of points that produce the same signal level output in the microphone if a given sound pressure level (SPL) is generated from that point. 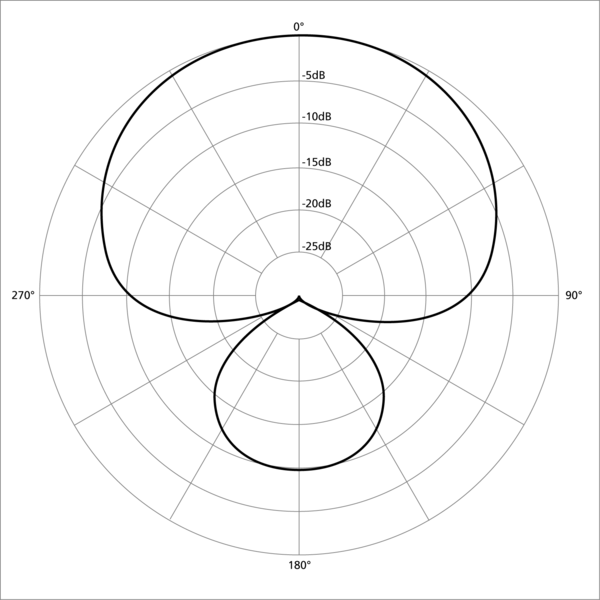 How the physical body of the microphone is oriented relative to the diagrams depends on the microphone design. Omni-directional microphones mean that it picks up sound evenly from all angles. This is typically used for picking up ambient noise; when the camera is still and the sound is moving. 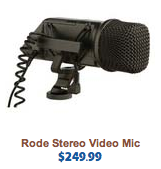 This is not the type of microphone if you are looking to pick up sound from one person or one object. Omni sound are general and unfocussed. Unidirectional microphones picks up sound predominantly from one direction. 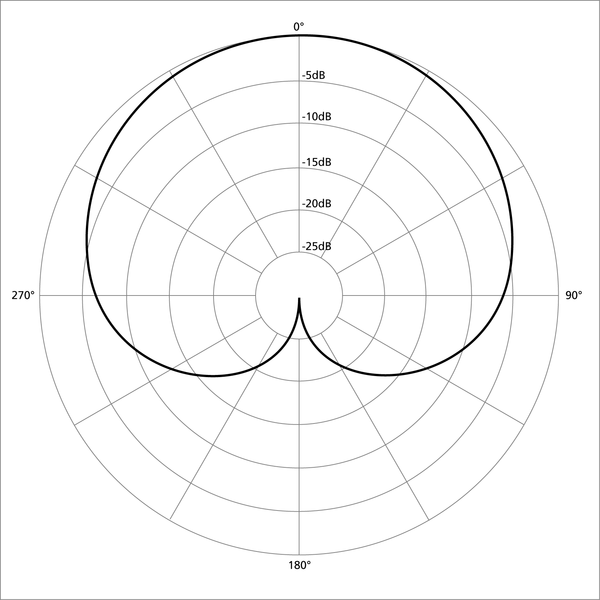 This includes cardioid and hypercardioid microphones. 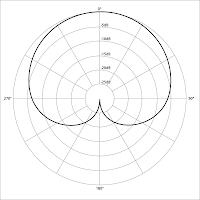 Cardioid picks up sound in a "heart shape" pattern. It picks up mainly in the front and then to a lesser extent on the side. 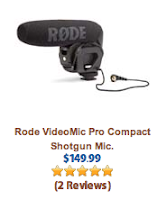 This is good for picking up sound in the direction that the microphone is pointed while picking up some ambient noise on the side. This is for the most general uses. 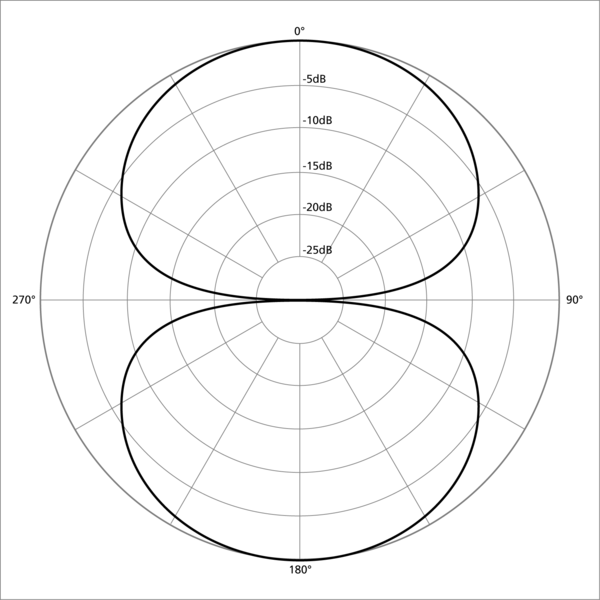 The hypercardioid (supercardiod) is an exaggerated version of the cardioid pattern. It is very directional and eliminates most sound from the sides and rear. This is used for isolating the sound from a subject or direction when there is a lot of ambient noise. By removing all the ambient noise, uniderctional sound can sometimes be a little unnatural. If the mic doesn't stay pointed at the subject you will lose the audio. 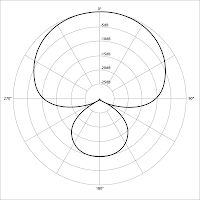 Bidirectional microphones uses a figure-of-eight pattern and picks up sound equally from two opposite directions. There is not a lot of uses for this microphone. The only use that I can think of if you have two subjects and the microphone is in between them. When dealing with microphones, one consideration which is often misunderstood or overlooked is the microphone's impedance rating. Perhaps this is because impedance isn't a "critical" factor; that is, microphones will still continue to operate whether or not the best impedance rating is used. However, in order to ensure the best quality and most reliable audio, attention should be paid to getting this factor right. Impedance is an electronics term which measures the amount of opposition a device has to an AC current (such as an audio signal). Technically speaking, it is the combined effect of capacitance, inductance, and resistance on a signal. The letter Z is often used as shorthand for the word impedance, e.g. Hi-Z or Low-Z. Impedance is measured in ohms, shown with the Greek Omega symbol Ω. 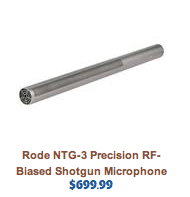 A microphone with the specification 600Ω has an impedance of 600 ohms. 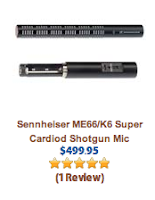 High impedance microphones are usually quite cheap. Their main disadvantage is that they do not perform well over long distance cables - after about 5 or 10 metres they begin producing poor quality audio (in particular a loss of high frequencies). In any case these mics are not a good choice for serious work. 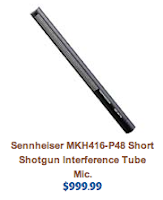 In fact, although not completely reliable, one of the clues to a microphone's overall quality is the impedance rating. Frequency response refers to the way a microphone responds to different frequencies. It is a characteristic of all microphones that some frequencies are exaggerated and others are attenuated(reduced). For example, a frequency response which favors high frequencies means that the resulting audio output will sound more trebly than the original sound. A microphone's frequency response pattern is shown using a chart referred to as a frequency response curve. The x axis shows frequency in Hertz, the y axis shows response in decibels. A higher value means that the frequency will be exaggerated, a lower value means the frequency is attenuated. In this example, frequencies around 5-kHz are boosted while frequencies above 10kHz and below 100Hz are attenuated. This is a typical response curve for a vocal microphone. 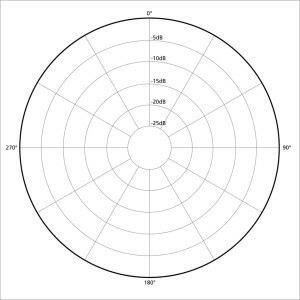 An ideal "flat" frequency response means that the microphone is equally sensitive to all frequencies. In this case, no frequencies would be exaggerated or reduced (the chart above would show a flat line), resulting in a more accurate representation of the original sound. We therefore say that a flat frequency response produces the purest audio. More importantly, it should be noted that a flat frequency response is not always the most desirable option. In many cases a tailored frequency response is more useful. 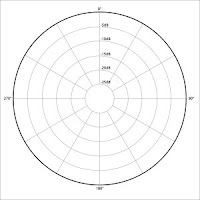 For example, a response pattern designed to emphasize the frequencies in a human voice would be well suited to picking up speech in an environment with lots of low-frequency background noise. The main thing is to avoid response patterns which emphasize the wrong frequencies. A microphone which is said to have a frequency response of 20Hz to 20kHz can reproduce all frequencies within this range. Frequencies outside this range will be reproduced to a much lesser extent or not at all. Always watch the meters at the bottom of your viewfinder or on the side of the camera to insure you are recording the audio. The best move would be to use headphones, if you have them. That way you can plug them into the video camera and listen to the audio that is being recorded and monitor the sound level. 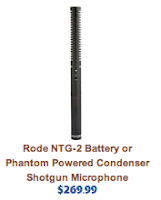 Remember you can always record ambient noise anytime during your hunt and edit it in to your final project. You can also record voice overs and add them in later as well. 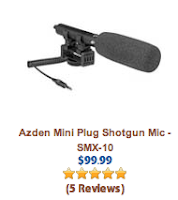 Item Reviewed: Understanding Microphones 9 out of 10 based on 10 ratings. 9 user reviews.